My young son asked me, so sad.. 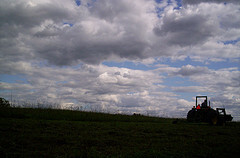 The tractor with my Dad..
His eyes turned to the sky. In Heaven when we die”. He asked , so sure that I would know..
Saying “Grandpa knows that too…. Heaven has a lot of tractors so..
~ by connetta on December 7, 2012. This is a such a touching poem. Brings tears to my eyes. My son never met my dad. Cancer took him from us 10 years ago. We are putting a tribute in the local paper and would like your permission to use this poem. I’d be honered that you use my poem . I too loved my grandpa. I also love your poem. My grandfather only has days left to live. He is 94 years old and has been a farmer all of his life. The family was looking for something to put in a program at his funeral and this would be great. Can I use your poem? I will make sure I put you as the author. i was wondering how do you know how to write such a beautiful poem………. cause for class i cant even start one…so how do you do it? Yes you may use my poem. as long as you credit me for it….i’d be Proud to do this, i have written manymany poems in the past remembering peoples loved ones.. I love your poem reference Farmers in Heaven. I am wanting to put a little piece in our small town paper remembering my Dad who was killed in a farm accident 30 years ago. Would you ever allow your poem to be quoted for that purpose. 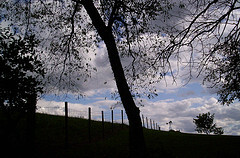 My Dad farmed the family homestead and was third generation on that farm.